That’s an accurate statement in the literary world, but it’s also valuable in many other facets of life. For instance, we spend a massive amount of time looking at our Classic Update harnesses. We research, design, tweak and install (then sometimes tweak again) them before they ever become publicly available. When we officially announce a new kit, we list all our favorite features. What seems like a common sense point, or no-brainer to us may be a surprising asset to someone else. 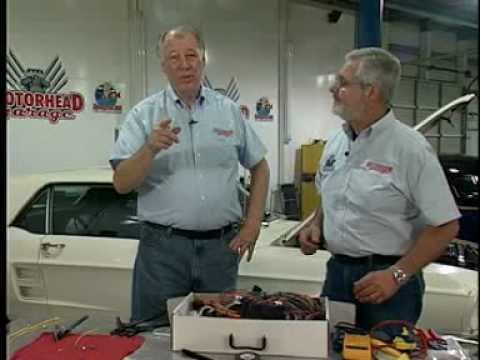 Several of our dealers and a number of television programs have taken time to do unboxing videos of our Classic Updates, and they do a fantastic job of highlighting what makes AAW stand out from the rest of the bundle in the wiring world. For instance, our friends at CJ Pony Parts, Jeff’s Bronco Graveyard, Two Guy’s Garage, Motorhead Garage, AutoRestoMod and Truck U have all done great segments highlighting our harnesses. We’ll always point out the things that make our harnesses better than the rest, but you don’t have to take our word (or perspective) for it!